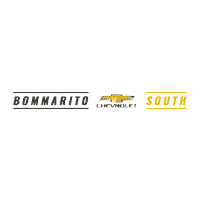 Stop by Bommarito Chevrolet South in Saint Louis or make an appointment to test-drive one of our great used trucks for sale in St. Louis today. Our easy-to-use website is a convenient way to browse our wide selection of used truck and used car inventory from the comfort of your home. Aside from our selection of new Chevrolet vehicles, we have used cars, trucks and SUVs of several makes and models for you to choose from. When you’re ready to test-drive a car, come on in. We’re not far from St Charles, Fenton and Affton. We have great used car deals all the time, so schedule a visit today. From purchase to service, our Chevrolet dealership is happy to provide St. Louis, St Charles and Fenton with the highest quality service for new, used and certified pre-owned vehicles. If you are in search of any service from our used car dealership, we can certainly assist you. Our dealership can provide St. Louis area auto repair and car parts along with our GM Certified Service. Feel free to schedule a service appointment or order parts while visiting us in-store or online. Please call us at (314) 487-9800 if you have any questions.